Fastcase? There’s an App for That! We at Fastcase, are delighted to announce the launch of Fastcase for the iPhone our official iPhone Application, which is now available for download in the iTunes App Store. Fastcase for the iPhone is the first of its kind and a breakthrough for two of our biggest passions, legal tech and open access to law. While we are not calling everyone together for a glitzy unveiling, we are excited to confirm that Fastcase for the iPhone is the largest law database available on the iPhone. 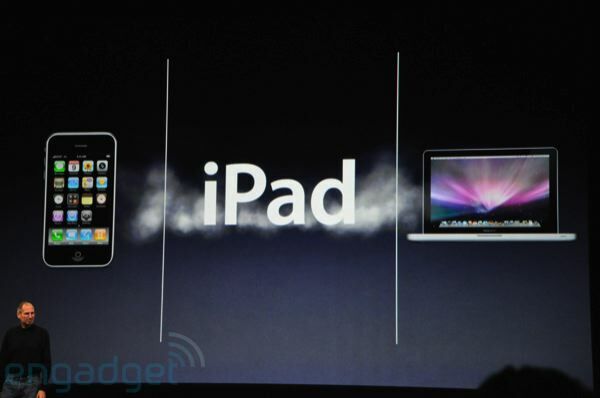 What’s more, it’s completely free to download and use as much as you’d like. It harnesses the full power, functionality, and extensive database of the Web-based Fastcase platform that our users depend on (click here for more information about our Web-based platform). Full functionality means searching cases and statutes with Fastcase’s smarter tools and intuitive interface. When searching cases, you can specify the jurisdiction, narrow the date range, limit the number of results, and choose to sort your results by relevance, date, short name, or by the number of times a case has been cited by others. In addition to sorting results, you’ll also be able to choose how your results appear with three options—display ‘Title’ only for quick browsing, ‘Title + First Paragraph’ to see the beginning of the case, or ‘Title + Most Relevant Paragraph’ to see the portion of the case that refers to your keywords most often. Other features include the ability to browse statutes, pull up a list of later citing cases with Authority Check, save a case for later, view recent searches, and change a document’s font size to small, medium, or large. We’re proud to offer Fastcase for the iPhone with no strings attached. If you are already a Fastcase subscriber or have signed up for a free trial with us in the past, then you are already registered to use Fastcase for iPhone. Just click here to download the App from the App Store. If you have forgotten your password, click here to retrieve it and have it sent to the e-mail address you used to register with Fastcase. We are also proud to report that so far, the reviews have been very positive. But we are eager to hear your impressions. 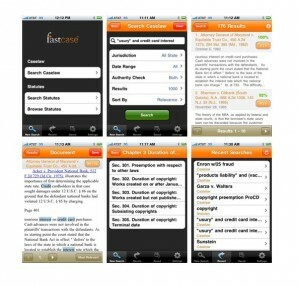 So check out Fastcase for the iPhone today and send us your comments via Twitter or e-mail.